WHITE TAIL PLAZA generates landmark identity, shade, seating and a value added amenity for the Los Angeles Warner Center Campus. Inspired by the White Tailed Kite – a native bird that still inhabits the area, the site was once riparian grassland. 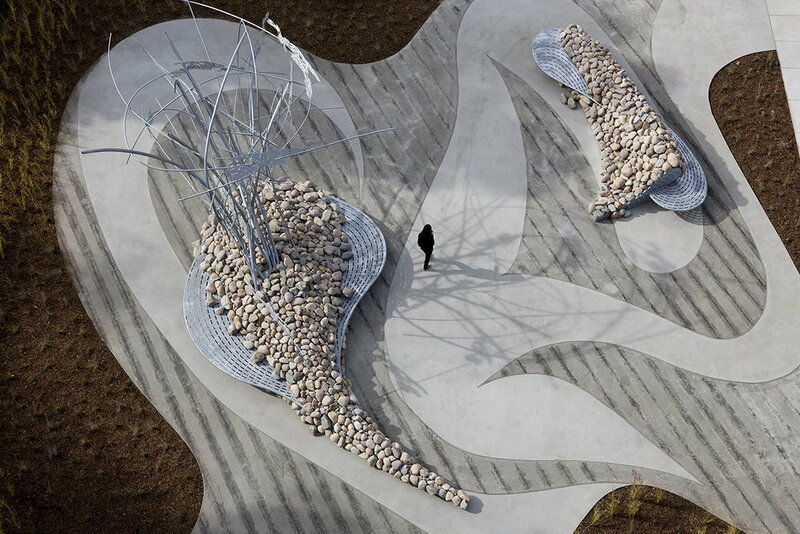 Two rock “islands” feature integrated seating and views of an indigenous grassland. A canopy of steel organically emerges and unwinds toward the sky, dissolving into a flock of birds. Come twilight the rock islands glow from within to become the plaza’s illumination.